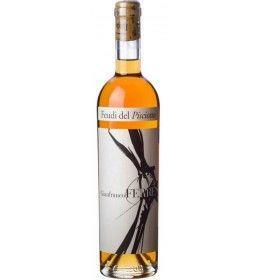 THE WINE The Passito , Great Artists Collection , by Feudi del Pisciotto is dedicated to Ferré. A true challenge: Gewürztraminer and Semeillon, two uncommon vines for Sicily, yet selected by Giacomo Tachis and used in equal proportions to bring to life a passito wine atypical for the island. Semeillon on its own would be too sugary. The Gewürztraminer, with its acidity, perfectly balances the wine, leaving the mouth clean. Paolo Panerai, who controls the company, has thought to celebrate Feudi's excellence by marrying wine with the utmost expression of made in Italy: fashion. This is how a line has been created, dedicated to the most important Italian designers. Every year part of the profits are destined to the restoration of a piece of art or a monument in Sicily. 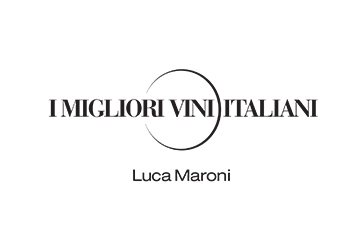 THE COMPANY If Tuscany and Piedmont are the regions that produce Italy’s most excellent wines Sicily, on the other hand, one of the country’s most historic wine regions, has in recent years been increasingly asserting itself as a land of great wines. Besides, Sicily is the very region that the Greeks once called Enotria, by virtue of its celebrated vocation to the cultivation of vines. Not surprisingly, the climate and soil offered by this island are a guarantee of quality, as well as quantity. This is precisely why, in recent years, thanks first and foremost to the pioneering work of a number of large Sicilian business families, to the invaluable collaboration with a genius such as Giacomo Tachis, a long time Regional Institute of Vines and Wine consultant, as well as the commitment of local institutions such as the Regional Institute of Vines and Wine, the island’s wine production has seen a true renaissance, cultural as well as productive, with significant investments focused on the ability of this land to produce world-class wines. As part of this new Sicilian Renaissance movement, the Feudi del Pisciotto estate, the first Sicilian DCC Group company, is making its contribution complemented by the experience gained by Castellare di Castellina and Rocca di Frassinello. The company is located in south-eastern Sicily just minutes from Caltagirone (Sicily’s capital of pottery), Piazza Armerina and Vittoria, close to Villa Romana which has miraculously remained intact, at a distance of 7 km from the sea. The estate dates back to the 1700s and was one of the largest in Sicily. The old building includes the wine-making plant or “Palmento”, from the Latin word Paumentum, referring to the act of pressing something. Pressing the grapes, in tanks which then allow the must to fall to the bottom, as this has been found to be the best technique. Restored without any modification made to the existing structure, the Palmento is connected to a modern cellar built to produce up to 10,000 hectolitres of wine using the most advanced technologies available. In part of the palm grove (“Palmeto”) and the old manor house (“Baglio”) a Wine Resort has been created, offering 10 rooms and a restaurant above the barrel room, which visitors can admire through the glass floor. Before 27,50 € tax incl. Tasting Aromatic notes and a perfect acidity stand out. A product characterised by balanced flavours, with the perfect sweetness and offering clear hints of dried fruit, honey and rose. Service temperature 12° - 14° C.
The Passito, Great Artists Collection, by Feudi del Pisciotto is dedicated to Ferré. A true challenge: Gewürztraminer and Semeillon, two uncommon vines for Sicily, yet selected by Giacomo Tachis and used in equal proportions to bring to life a passito wine atypical for the island. Semeillon on its own would be too sugary. 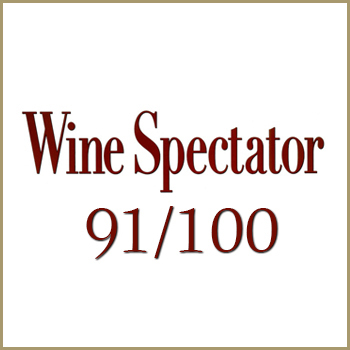 The Gewürztraminer, with its acidity, perfectly balances the wine, leaving the mouth clean. Paolo Panerai, who controls the company, has thought to celebrate Feudi's excellence by marrying wine with the utmost expression of made in Italy: fashion. This is how a line has been created, dedicated to the most important Italian designers. Every year part of the profits are destined to the restoration of a piece of art or a monument in Sicily. If Tuscany and Piedmont are the regions that produce Italy’s most excellent wines Sicily, on the other hand, one of the country’s most historic wine regions, has in recent years been increasingly asserting itself as a land of great wines. Besides, Sicily is the very region that the Greeks once called Enotria, by virtue of its celebrated vocation to the cultivation of vines. Not surprisingly, the climate and soil offered by this island are a guarantee of quality, as well as quantity. This is precisely why, in recent years, thanks first and foremost to the pioneering work of a number of large Sicilian business families, to the invaluable collaboration with a genius such as Giacomo Tachis, a long time Regional Institute of Vines and Wine consultant, as well as the commitment of local institutions such as the Regional Institute of Vines and Wine, the island’s wine production has seen a true renaissance, cultural as well as productive, with significant investments focused on the ability of this land to produce world-class wines. As part of this new Sicilian Renaissance movement, the Feudi del Pisciotto estate, the first Sicilian DCC Group company, is making its contribution complemented by the experience gained by Castellare di Castellina and Rocca di Frassinello. The company is located in south-eastern Sicily just minutes from Caltagirone (Sicily’s capital of pottery), Piazza Armerina and Vittoria, close to Villa Romana which has miraculously remained intact, at a distance of 7 km from the sea. The estate dates back to the 1700s and was one of the largest in Sicily. The old building includes the wine-making plant or “Palmento”, from the Latin word Paumentum, referring to the act of pressing something. Pressing the grapes, in tanks which then allow the must to fall to the bottom, as this has been found to be the best technique. Restored without any modification made to the existing structure, the Palmento is connected to a modern cellar built to produce up to 10,000 hectolitres of wine using the most advanced technologies available. In part of the palm grove (“Palmeto”) and the old manor house (“Baglio”) a Wine Resort has been created, offering 10 rooms and a restaurant above the barrel room, which visitors can admire through the glass floor.